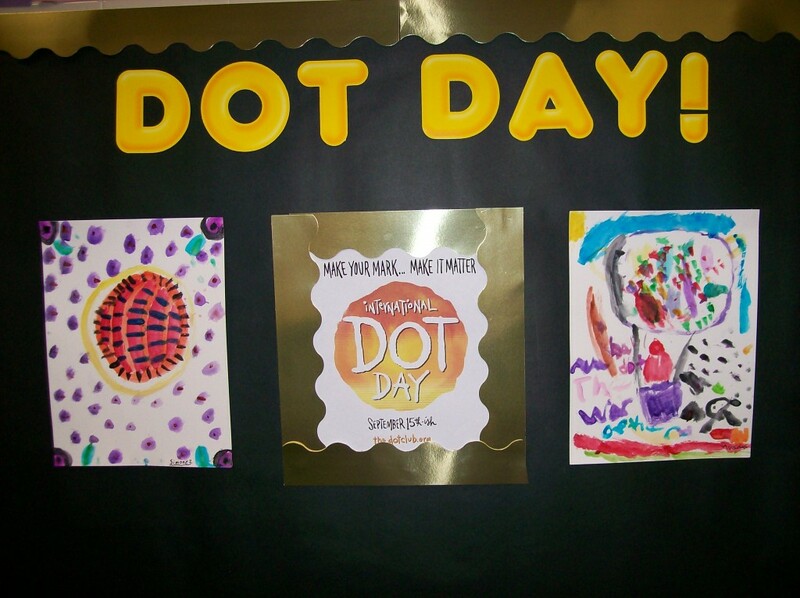 This is the first year that I celebrated International Dot Day in my classroom. We actually celebrated it on two days: Monday September 16 and Friday September 20. The Monday celebration was very "low-tech". A guest came and read The Dot by Peter H. Reynolds and discussed how we can encourage each other and make our mark in the world. Then we painted with our never-before-used-paint-sets. 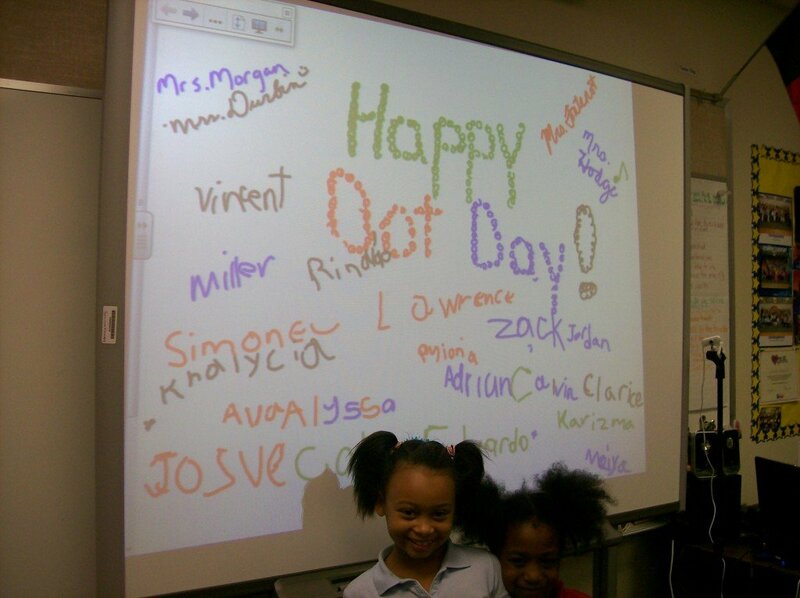 The students really enjoyed creating their own dot and making their mark. The dots made a beautiful hall display. 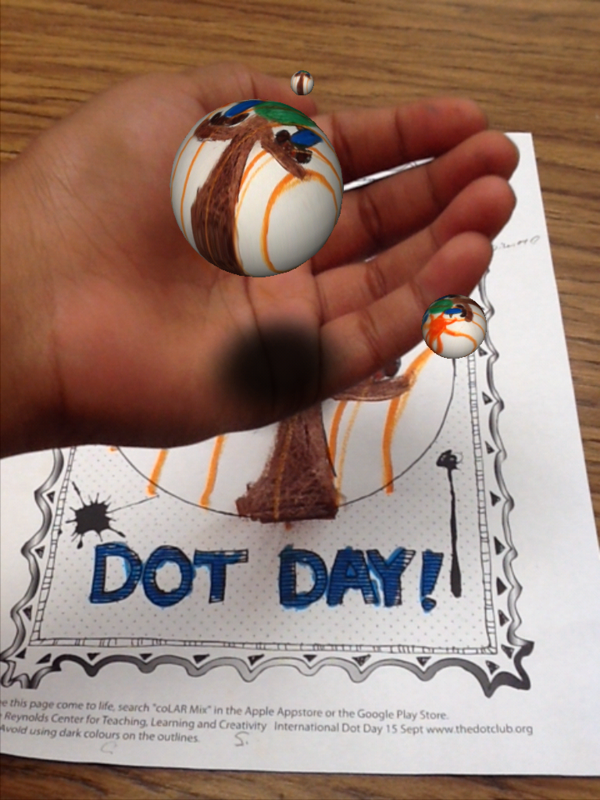 On Friday, we went "high-tech" by inviting guests to bring their Apple and Android devices so we could bring dots to life using the augmented reality app ColAR. 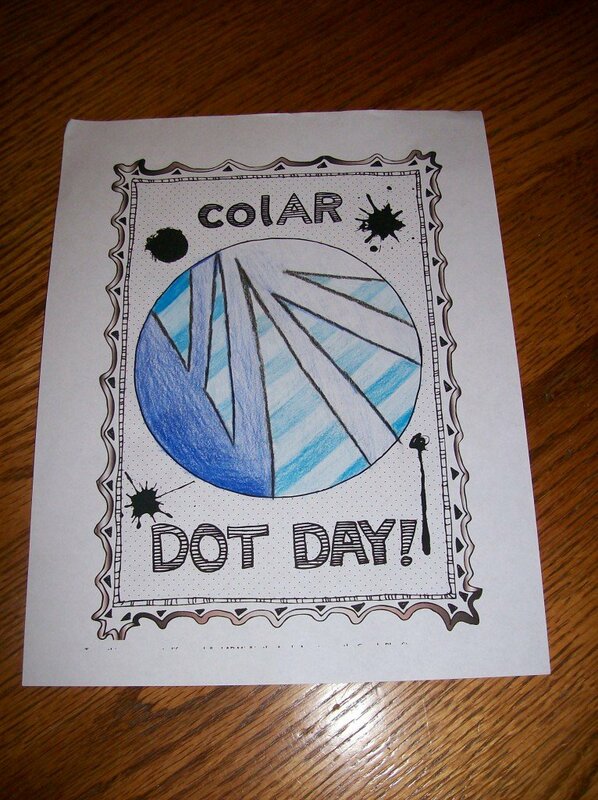 The students colored dots on special color sheets printed from the ColAR app site. 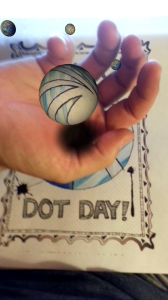 When we aimed the devices at the color sheet, the dots became spinnng, bouncing spheres that multplied and changed sizes! Use these two images to check out ColAR app. Just go to the site and download the app to your Apple or Android device. Once dowloaded, click on play, aim it at one of the images, and watch it come to life! Make sure the whole image is in your screen. It will turn purple and then come to life!